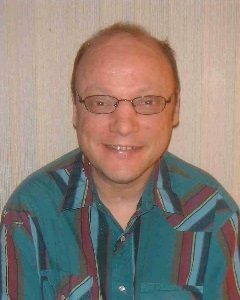 James “Jim” Willemsen, age 54, of Norwood Young America, Minnesota, passed away on Wednesday, October 31, 2018, at Regions Hospital in St. Paul, Minnesota. Funeral Services will be Wednesday, November 7, 2018, 11:00 A.M. at the Church of Peace in Norwood Young America, with interment at a later date in Forest Hill Cemetery in Norwood Young America. Visitation will be Wednesday, November 7, 2018, from 9:30 A.M. until the time of the service at the church. James “Jim” Raymond Willemsen was born on February 17, 1964, in Shakopee, Minnesota. He was the son of Ronald and Dorine (Gruenhagen) Willemsen. James was baptized as an infant on March 8, 1964, at the United Church of Christ in Dahlgren, Minnesota, and was later confirmed in his faith as a youth in 1976 at the Church of Peace in Norwood Young America. He received his education in Bloomington and was a graduate of the Jefferson High School. James resided in Norwood, Chaska, and Lakeville and most recently with Dungarvin Inc., living in a group home in St. Paul for the last 21 years. He really enjoyed his time there and how well the staff and his roommates treated him. Jim worked at various jobs throughout the years but most recently at TSE Inc. out of St. Paul doing janitorial jobs, which he really enjoyed. James enjoyed watching John Wayne movies, loved the Titanic movie and the history behind the Titanic, was an avid Minnesota Twins fan and liked to travel and see new places. He loved spending time with his family and friends. James passed away on Wednesday, October 31, 2018, at Regions Hospital in St. Paul at the age of 54 years. Blessed be his memory. Aunts, Uncles, Cousins, other relatives and friends. James was preceded in death by his Father, Ronald Willemsen; Grandparents, Fred and Grace Gruenhagen, Raymond and Francis Willemsen; Step Grandmother, Veronica Gruenhagen.